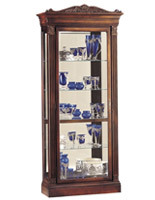 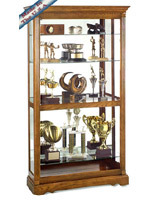 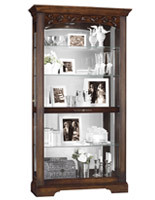 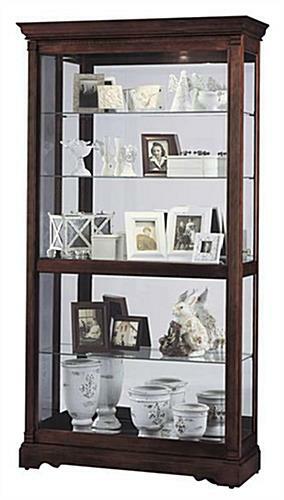 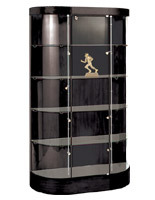 This wood curio cabinet is versatile and can be used in residential, retail, and business locations. 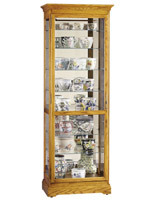 Four, fully-adjustable shelves allow variety in the height of items placed in the wood cabinet, while cushioned shelf clips assure a user his or her items are safe. 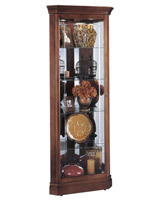 A Touch-Lite™ is located on the back of the wood curio cabinet at an easily reachable height to allow for quick and simple lighting adjustments. 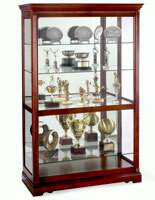 This wood curio cabinet, such as other curio cabinet, and display cabinet models, stands 80" high and is 42" wide. 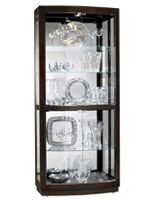 42.0" x 80.0" x 14.8"